Invenergy, the wind project developer, invites the public to attend the Forward Energy Center Open House. Come learn more about the Forward Energy Center and how wind power benefits Wisconsin. 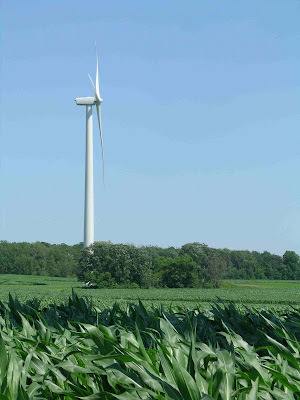 Forward began operations in February 2008, becoming one of the first large-scale wind energy projects in Wisconsin. Forward is owned and operated by Chicago-based Invenergy, which is implementing one of the largest programs of wind development in the United States, Canada and Europe, and is committed to building strong relationships with landowners, communities and utility customers. Please wear appropriate shoes for walking on uneven surfaces. Reservations are not required.